Limagito filemover is an all-in-one automated file transfer solution handling everything from moving, deleting to copying files. It’s a powerful business automation tool that puts you firmly in control. 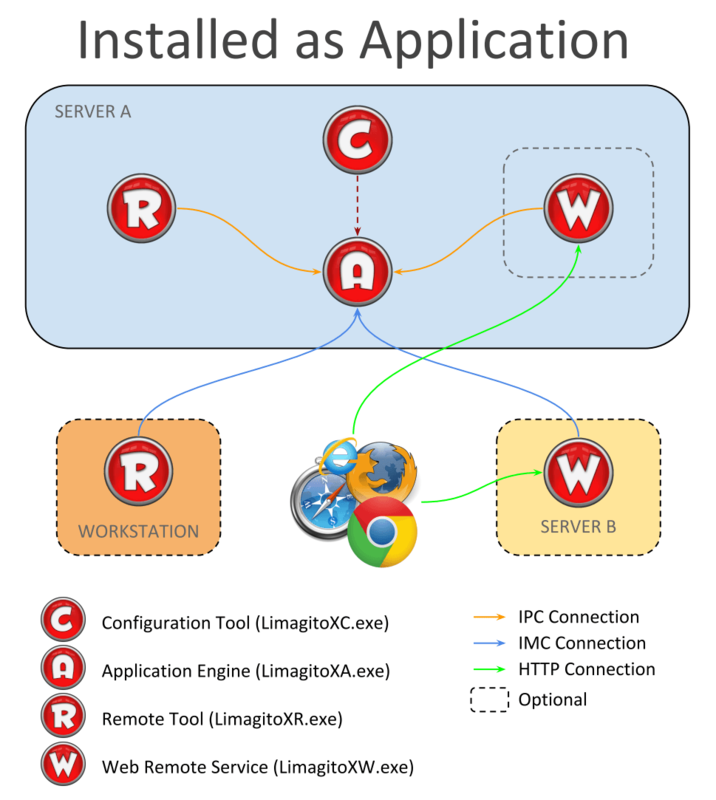 The File Transfer Engine running as Application or Service is controlled using our Windows Remote Client. Since v2018.5.20.0 we’ve added a full Web Remote Client as alternative. The technology we are using is Ext JS from Sencha. LimagtoX is available in the download section. 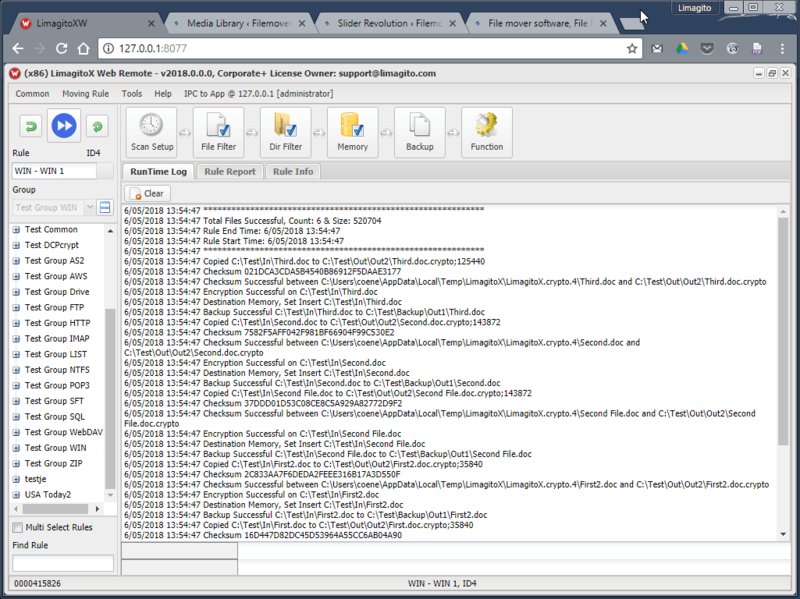 Get Limagito file mover now. Our licensing options are simple, there are 4 editions available: Lite, Single, Site and Corporate. Not convinced yet? Try out our program with the free Lite version that is available in the download section. We are confident that you will like our software. 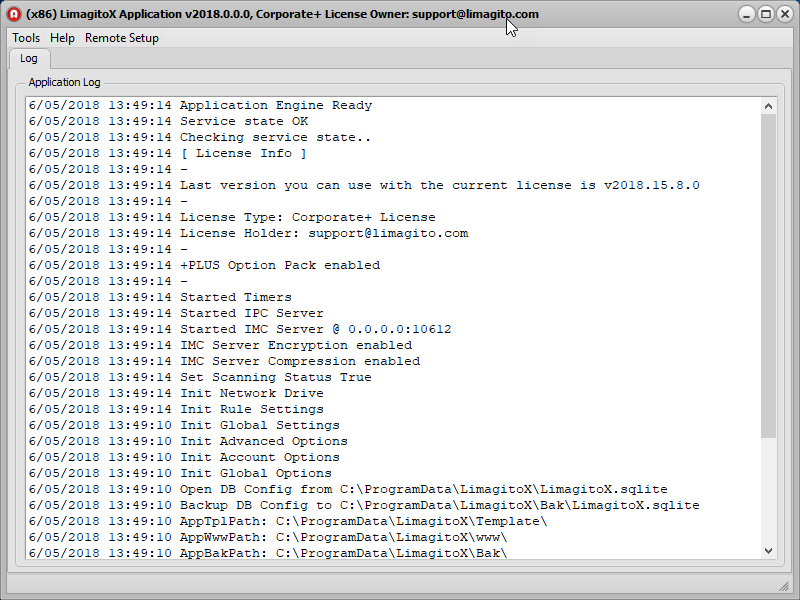 Limagito’s admin panel contains hundreds of options making it very powerful. Set filters and rename, encrypt, decrypt, move, copy or delete files with ease. This software offers so many features and is so flexible it can be used for a variety of file management tasks as well as file backups. I often talk to vendors as though we are doing day to day business but you are part of our team. I have to tell you we all love your product and should you ever need to have a customer reference I will gladly promote it for you.. its been amazing... saving countless hours of manual time. I’m working with your program again, and I would just like to tell you guys that you did a great job!! This was exactly the utility that I was looking for…for years!!! Great job!!! Just to tell you that we have installed a new limagito server, that had moved up to FTP 2 500 000 files in a week and in one day more than a million of files. Log information are stored in SQL server database and generate about 20 million of lines. It is in use for 4 weeks, no reboot, no swap memory, no lack of memory, everything is always operational. Many thanks again and felicitations. Since my company purchased Limagito program about 2 years ago, your support rep has been very supportive to help me trouble shoot, and enhance the rule set-ups, and his input has been priceless so that the work flow of my operation at my company has been very successful. Because of his excellent service, I felt very confident to bring my management on board to purchase the corporate edition today. Your program is very, very reliable, and runs 100% of time. But the service really makes your product and company distinguished. I want you to know it. Thank you. I need to say it again. Your software is so damn amazing... Admittedly, I don't go on much about your software to others because I basically get it working and forget about it, but it is by far over and above anything I use in my environment. Thank you so much! Limagito filemover is an automated file mover solution handling everything from moving, deleting to copying files. Please don't hesitate to contact us if you have any questions about our product and services. 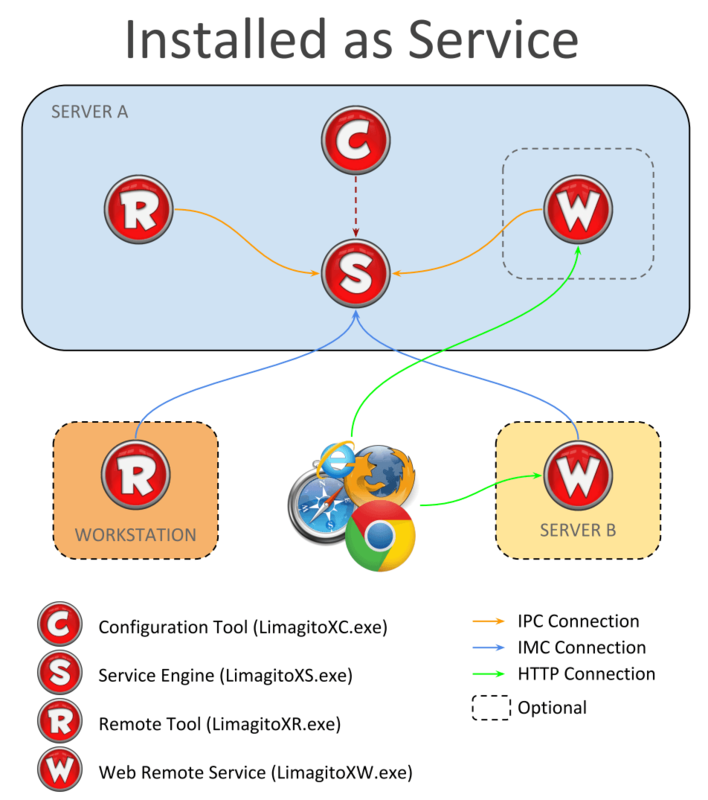 © 2007-2019 Limagito file mover software. Webdesign by Ei van Columbus.